The AIM Tour Florence is happening on Monday, January 22nd. Paul Spurlin will be speaking at an area wide youth series on Sunday night, the 21st. We ask that you join us for that event as well. Andrew Jenkins will be speaking during chapel at Mars Hill Bible School on Monday. 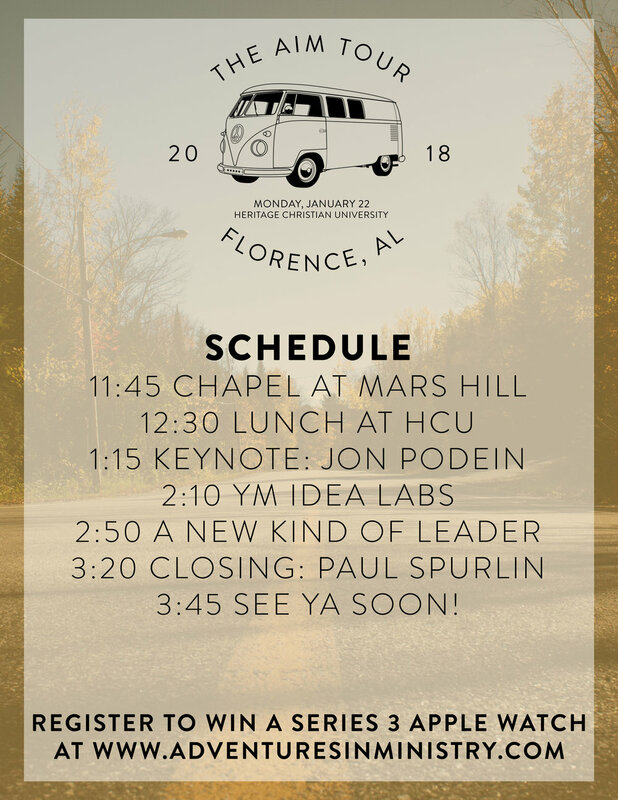 After chapel we will head over to HCU to eat lunch and enjoy some time together. Oh and did we mention that this event is completely FREE!!! REGISTER NOW FOR A CHANCE TO WIN A FREE SERIES 3 APPLE WATCH! !